right-arrow Created with Sketch. left-arrow-1 Created with Sketch. facebook Created with Sketch. file Created with Sketch. Icon Button/Grid linkedin Created with Sketch. Icon Button/List ic_mail_24px Created with Sketch. down-arrow Created with Sketch. search Created with Sketch. twitter-blue Created with Sketch. Specifically designed and approved to meet both EN54-3 and EN54-23, the ENscape Sounder Beacon delivers outstanding quality, reliability and extended operational life. ENScape Conventional EN54-23 Sounder Beacons are ideal for applications where a dual purpose audible and visual alarm device is required. The product features a new folded horn design, high output LEDs, advanced optics and an innovative lens design, providing outstanding sound output and omni-directional light coverage at low current draw. Specifically designed and approved to meet both EN54-3 and EN54-23, the ENscape Sounder Beacon delivers outstanding quality, reliability and extended operational life. Specifically designed for, and approved to meet EN54-23, the ENscape beacon delivers outstanding quality, reliability and long operational life. 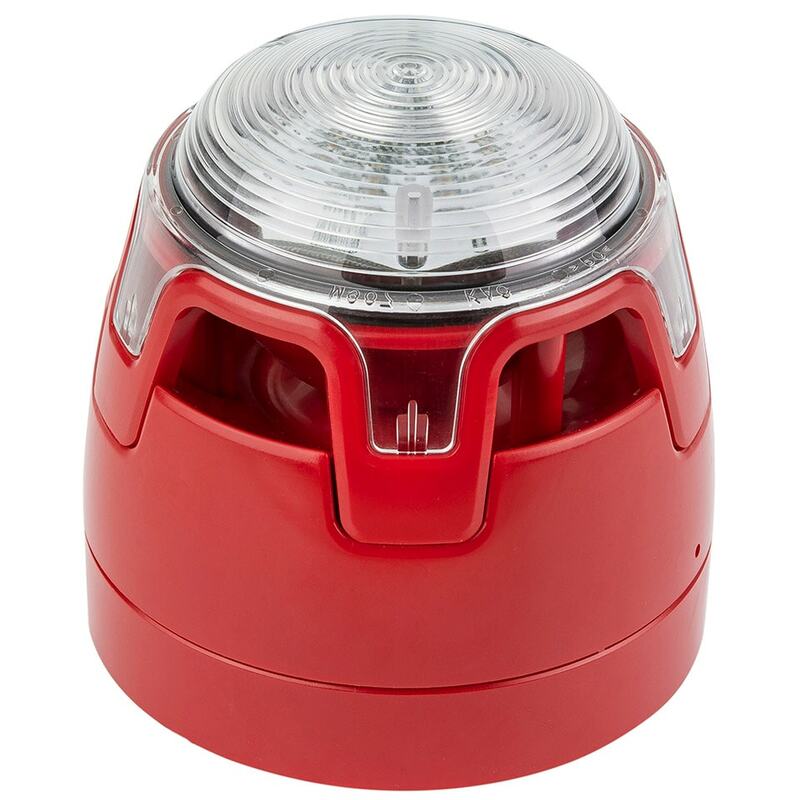 The ENScape Conventional Signal Beacons utilise LED technology and an innovative lens design, providing omni-directional light coverage at very low current draw. ENscape Conventional Sounder with Supplementary Light Indicator is ideal for applications where a sounder is required as the primary method of alarm, but a supplementary light indicator would benefit. With a modern design, global tone set and extensive installer-friendly features, the ENscape sounders are the logical choice for specifiers, OEMs, installers and distributors. © 2019 KAC Alarm Company, All Rights Reserved.